Etoile ISD: Highlights - Bus Driver Needed ASAP! 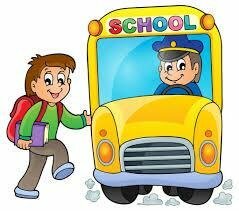 Etoile ISD will need a bus driver for an afternoon dismissal route (3:15 p.m. – 5 p.m.) daily beginning August 16th. Experience: None – We are willing to train someone! Please call the office at 936-465-9404 or stop by 16039 FM 226, Etoile, TX to apply. Pre-Kindergarten Round-Up Bus Driver Needed ASAP!